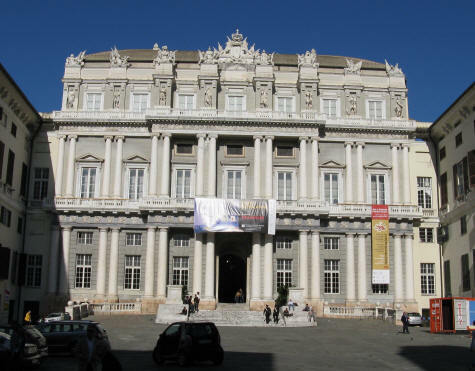 The Doge's Palace in Genoa Italy (Palazzo Ducale) is a beautiful old building located in the city centre. Visitors can enjoy its beautiful rooms and hallways. The building is sometimes used for special conferences and special events.